Manufacturer of a wide range of products which include cough tea, ginger tea, kapha tea, detox tea, brahmi tea and pitta tea. we are engaged in providing Cough Tea. These products are processed under the supervision of experienced chemists. 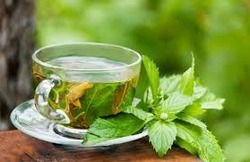 Also, the accurate composition and high effectiveness are the key features of this tea, which make them, demanded and applauded by the clients. Also, our offered assortments are available in temper-proof packaging material to retain their purity and effectiveness. “Everything good is found in ginger,” states an old Indian proverb. That’s why Ayurveda often refers to ginger as a universal medicine. Chinese medicine, the other most ancient yet living tradition, also turns to ginger medicinally because it restores Yang, or hot energy. Currently, India and China produce most of the world’s ginger because it grows best in warm, damp areas. 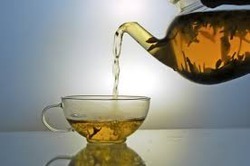 The aromatic, spicy root has long been used in both traditional and Western healing systems to make tea. Ginger tea brings with it a host of powerful health benefits. A staple in Ayurvedic medicine, herbal Brahmi teas are thought to be natural stress-reducers that simultaneously sharpen focus. Without the jitters of traditional caffeine beverages, Brahmi gently stokes dopamine and serotonin levels to produce uniquely calming, yet still energetic effects. Cooling Pitta Tea is a delicious combination of fragrant rose petals and refreshing spices, and is the perfect answer when one is feeling intense, over-heated or frustrated. Drink warm or cool, it helps cool down the mind, body and emotions. One will find it ideal for hot summer days, as well as for heated tempers. That 'too-much-to-do, too-little-time' feeling can cause one to be on edge, restless and anxious. 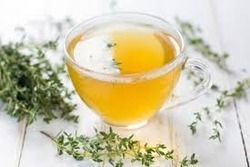 A few sips of Vata Tea will help the whirling mind settle down and help the body relax. Whether at work, at home, or on the road, the sweet soothing Organic Vata Tea can help one stay calm and alert. A careful blend of licorice, cinnamon, cardamom and ginger give Organic Vata Tea a full and sweet taste and helps bring the disturbed Vata back into a state of balance. It leaves one feeling soothed, calmed and relaxed. 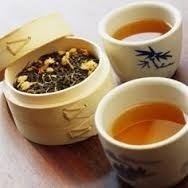 The findings reveal that even a single cup of tea can significantly reduce anxiety levels after suffering a stressful experience – and in some cases, make people calmer than they were before.